The Sunday long run. Track Tuesday. These are probably things you’ve seen or done countless times as a runner. It’s a pretty common sight in training plans – certain days of the week are allocated to a specific type of workout, and this cycle is repeated every 7 days. But why? What is it that made us decide that 7 days is the ideal length of time to go through a cycle, and to then repeat this again and again (with slightly changes from week to week of course). It’s one of those things that many of us have probably never even questioned. The only real answer is convenience; perhaps weekends are the only time when you’re able to fit in a 90min or longer run. Or maybe you enjoy slotting into a group that runs hills every Thursday. For many, these reasons are perfectly valid and it makes the most sense for their training. Firstly, there’s absolutely no physiological reason why a 7-day cycle is preferable to any other length of time. If anything, there’s a strong case to argue it’s a bit too short to fit everything in. A generic training plan may consist of some sort of tempo or fartlek run, a set of intervals or hills, and finally a long run. I’m sure that for many of you, this is a familiar sight. Additionally, you’ve probably had times where you’ve struggled to fit these all into a week while allowing your body sufficient time to recover. 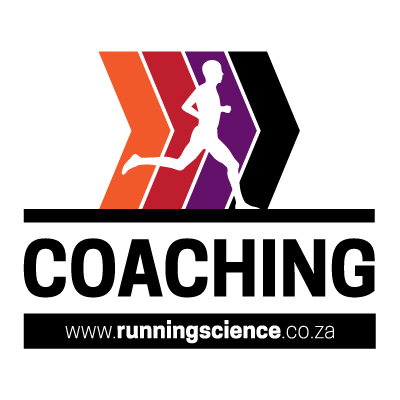 Let’s take a marathon runner as an example; after completing a 30km long run on Sunday, this runner may be expected to recover and feel fresh again to take on a set of hard intervals on Tuesday. Is this realistic? For some yes, but for many it may not be. It all depends on the individual. And then the question becomes whether to attempt this workout when you know you’re not ready for it – or do you ditch it completely? On top of this, how does this now affect the rest of the week? As you can see, these sorts of decisions can quickly have a compounding affect that begins to interfere with one’s training. There are many alternative options available but personally, I’ve found that working off a 9-day cycle for myself and many of my athletes is the most effective. Generally speaking, this 9-day period will consist of 3 hard workouts which take place every 3 days. I’ve found that this allows an athlete to recover between workouts as intended, and they’re able to approach workouts feeling fresh and ready to go. Additionally, there’s an added bonus that it caters for a higher level of mileage. Having two easy days between workouts means that one of them can usually be of a fairly decent length, with the other being a shorter recovery run. Another good option (for those with less flexibility) may be a 2-week cycle, where one could spread 5 key runs (rather than 6) over the 14-day period with long runs on Saturday and then Sunday the following week. There are countless possibilities of how one could structure their training; but the point behind this all is that it’s important to question and challenge these norms. Sometimes, things are done not because they are the best option for the individual, but rather because ‘that’s how everyone else is doing it’. The more you’re able to tailor and adjust training to your specific individual needs, the more likely you are to build a successful training plan. This applies most specifically to anyone who has plateaued in their running and is struggling to improve. Einstein said, “The definition of insanity is doing the same thing over and over again, and expecting different results”. The same applies to training. If you’re stuck and want to improve, look for ways to change things up and don’t be scared to do it in a way that’s slightly different to the norm. Thanks for the great read. This has been on my mind for the last year or so after 2 failed attempts at programs and just not feeling there was enough time for recovery. Love the idea of a 9 day cycle with 3 intense sessions – this immediately makes way more sense to me. Will be giving it a try! Thanks Ren! We hope to in future hear how it goes ! Many Spanish, Portugese, and Italian coaches have long used the 8-12 day cycle in training to prevent unnecessary overload and spur greater adaptation. Plus, when you aren’t constrained by an arbitrary seven-day window, you can go harder/longer on your quality days to actually make progressive gains in your training. In the US, I think Emily Sisson and Molly Huddle are both great modern examples of runners foregoing a traditional micro-cycle of seven days. Thank you for another great read! This is a very good article. And this comes back to the solid notion that we should not allow the plan to dictate the athlete but the athlete dictates the plan. Great work as usual, and thanks for posting. This is such a good post. Thank you very much. It’s been something I’ve been thinking about for some time. You get a superstars like Kipchoge and Kipsang who do two workouts and a long run every week T, Th, Sat. You get Rob De Castella who did two Long runs (W,Sun) , two more moderate workouts (Tues,Thurs) and one harder workout/race (Sat), each week his whole career. And then you get runners like Meb Keflezighi who won Boston using a 9 day cycle as you outlined in the article. To me the 9 day cycle and 14 day cycle make the most sense. 9 day is hard for day job folks because running a two hour long run before/after work on a week day could pose a challenge. That’s why I’m sticking with the 14 day.